It’s Sept. 23, the start of Welcome Week at UCI, a big day for all students, faculty and staff as they shake off the summer slows and get ready for full classrooms and the return of rush-hour foot traffic to Ring Road. But for the Donald Bren School of Information and Computer Sciences (ICS), it’s a really big day — in a sense, the biggest in school history. 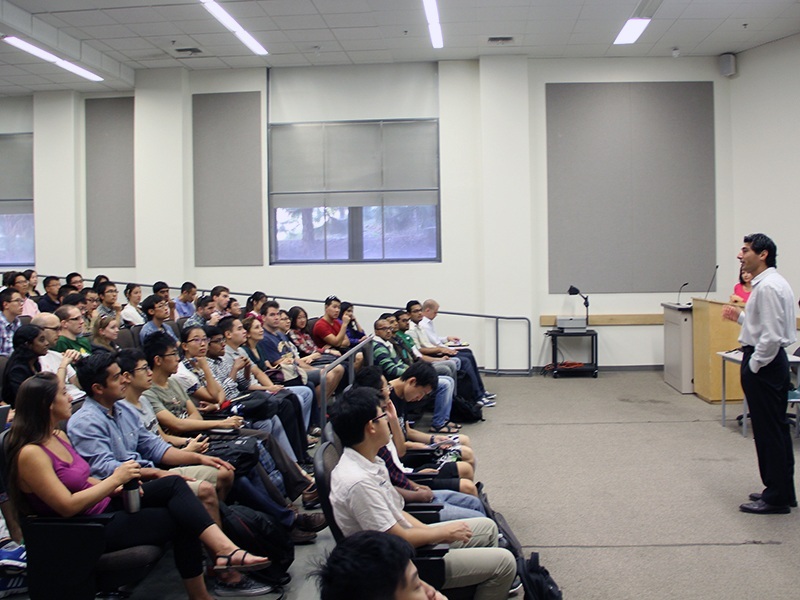 Stern shared with the newcomers some of the school’s “points of pride,” including ICS being the only stand-alone school of computing in the UC system; notable graduates such as Roy Fielding (B.S. ’88, M.S. ’93, Ph.D. ’00), primary architect of HTTP/1.1; the Techjobs website, run jointly by ICS and The Henry Samueli School of Engineering to connect their students with potential employers; and a recent survey that rated the earning potential of UCI computer science grads as the fourth-best in the country (tied with Stanford). Earlier in the day, in his welcome to Bren School graduate students, Associate Dean Tony Givargis spoke to an overflowing lecture hall — so full that chairs had to be brought in from other classrooms. He lauded both the quantity and quality of the incoming class of master’s and doctoral students, pointing out just how stiff the competition was for admission. Both the graduate and undergraduate welcome programs also offered introductory presentations from departments that provide key services to students, including student affairs and computing support. Christine Kelly of the UCI Career Center also gave the grad students useful tips. For instance, when it comes to internships, “The really good ones tend to get filled in the fall and winter,” she said. 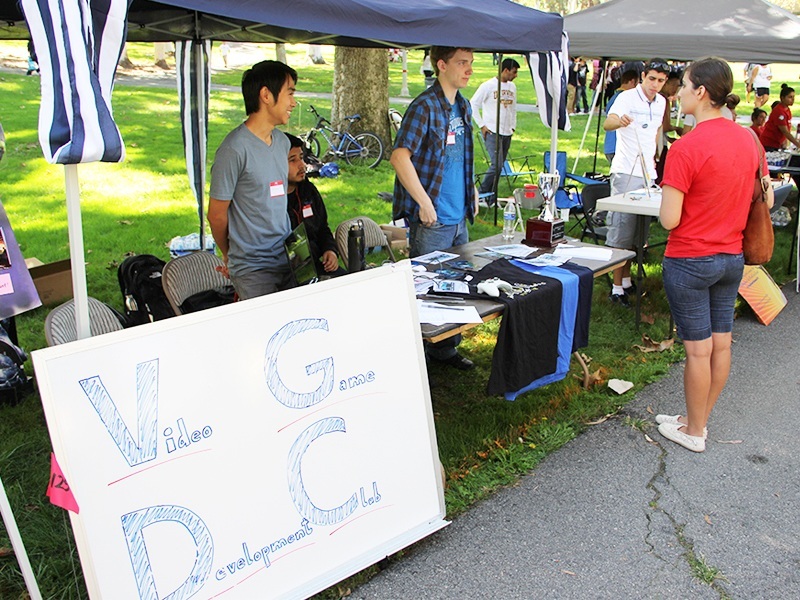 Meanwhile, several student groups gave brief talks at the undergraduate welcome. 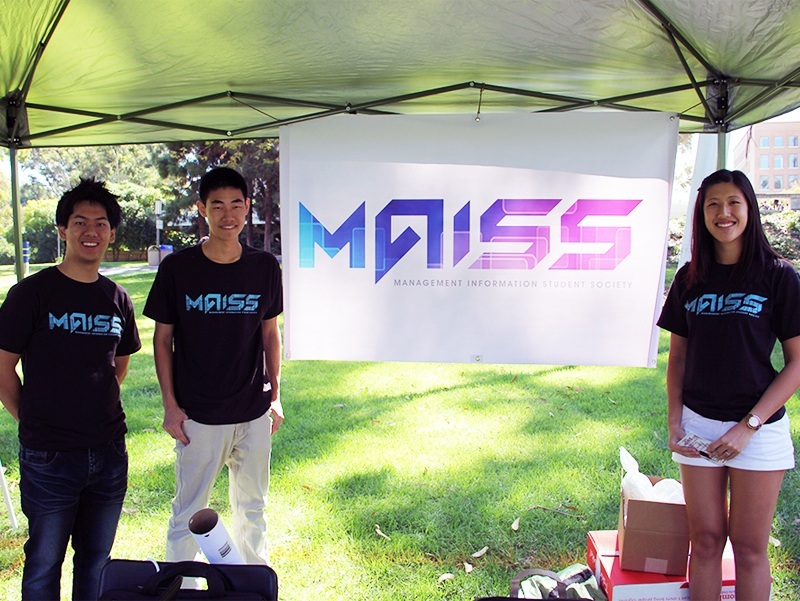 At their booths during the Anteater Involvement Fair in Aldrich Park, student club representatives said they noticed a strong new-student presence. “There’s been a steady stream,” said senior Audrey Auyang, president of the ICS Student Council, as she and her ICSSC cohorts stood besieged by students signing up for the council’s newsletter. Dean Hal Stern, for one, is certainly pleased that the school’s strong reputation has drawn such a large, enthusiastic crop of new students. “You have made an outstanding choice,” Stern said, as he looked over the sea of undergraduates. “The time has never been better to major in computer science or another computing related field. So, congratulations to you, or your mother, or whoever encouraged you to make this choice,” he added, to a burst of laughter from the crowd.